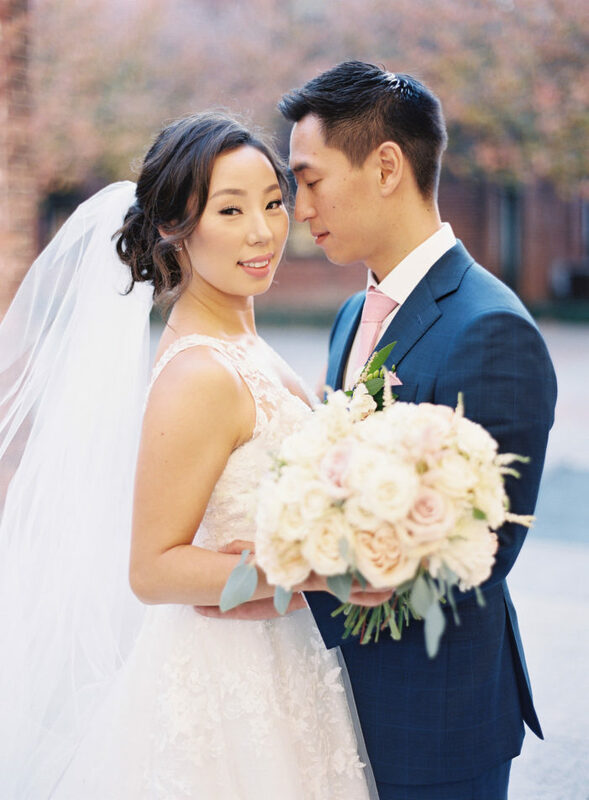 Today’s romantic spring Maryland wedding took place at the Mt. 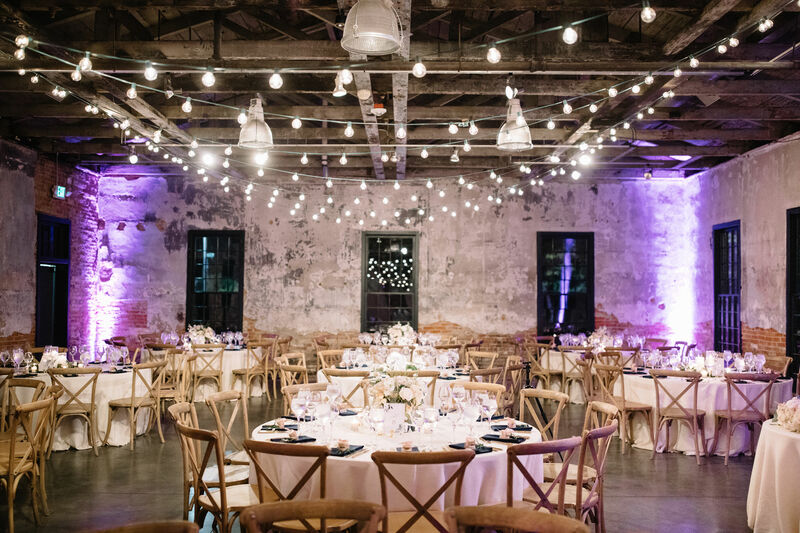 Washington Mill Dye House. 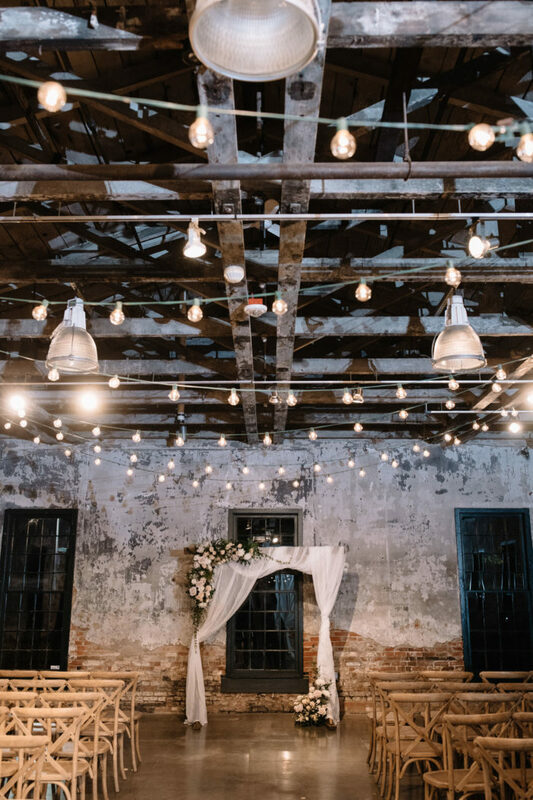 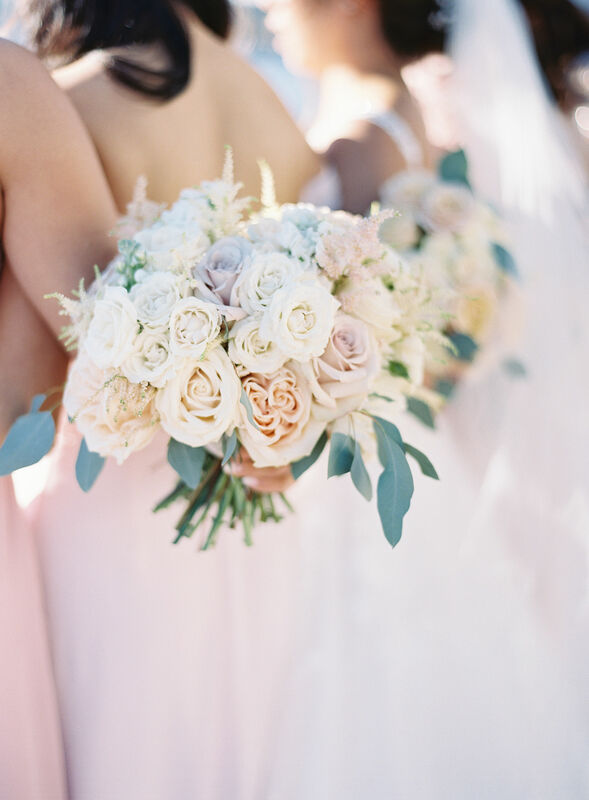 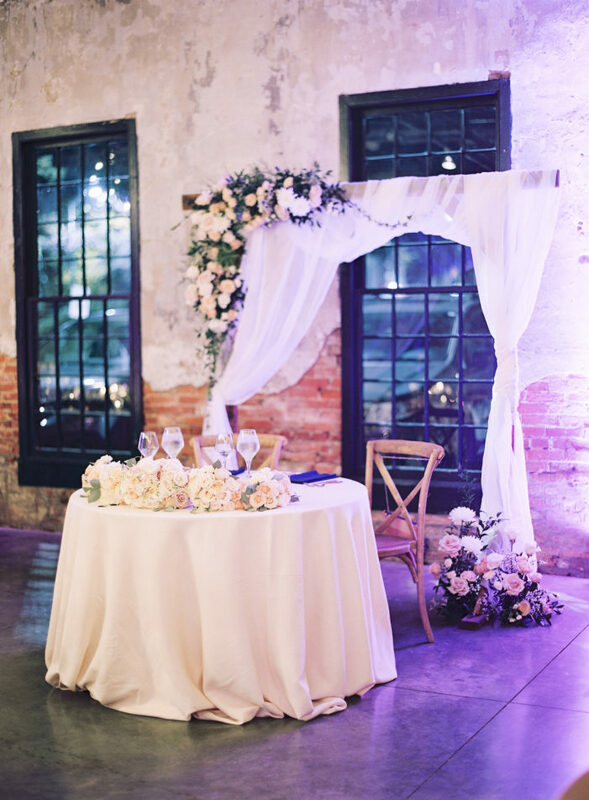 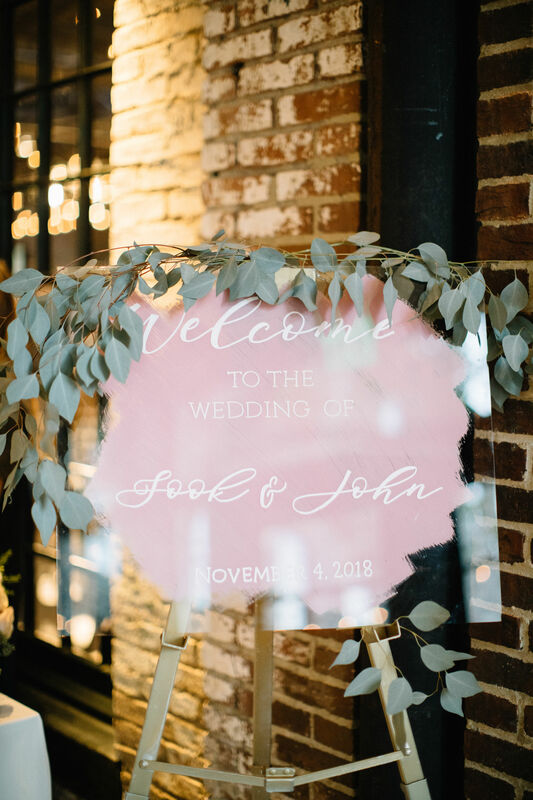 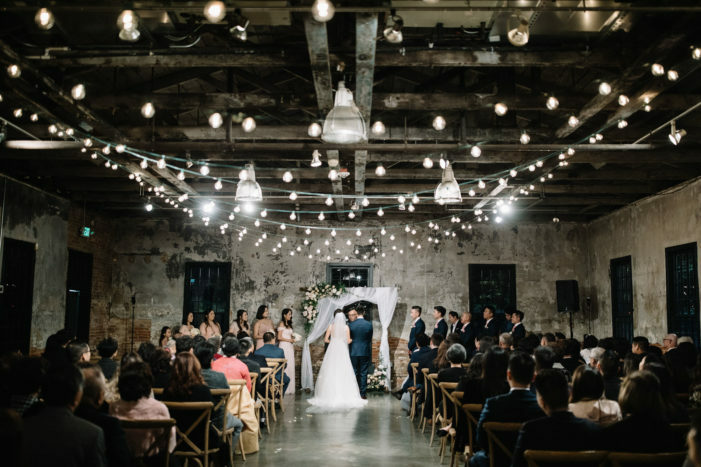 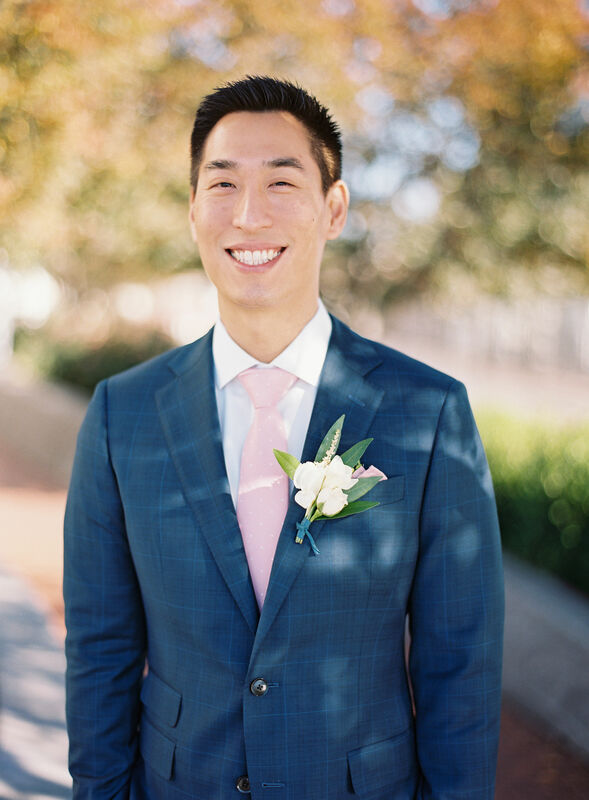 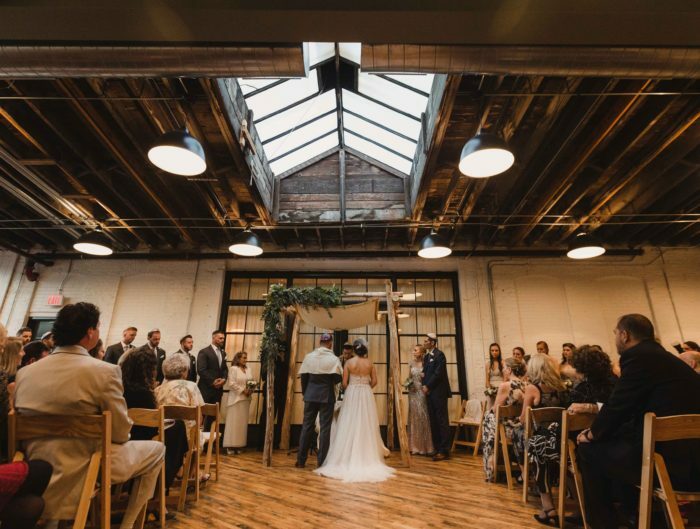 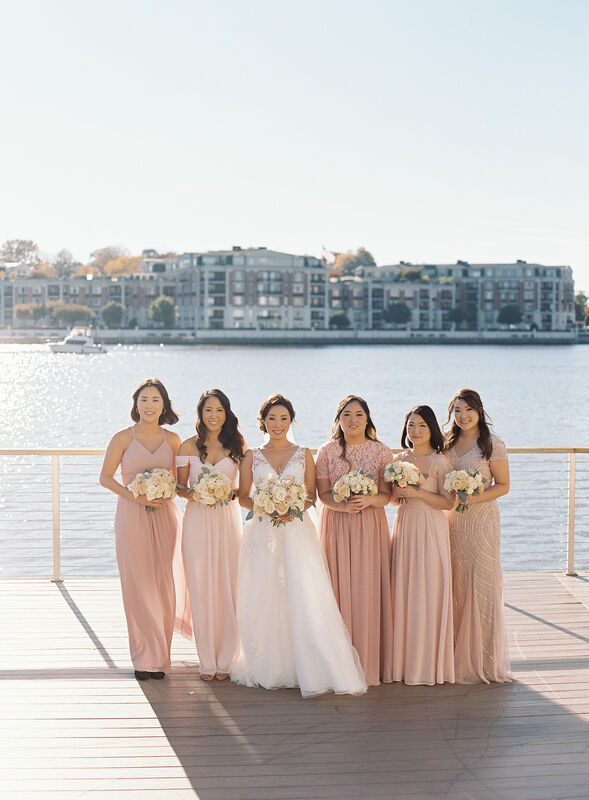 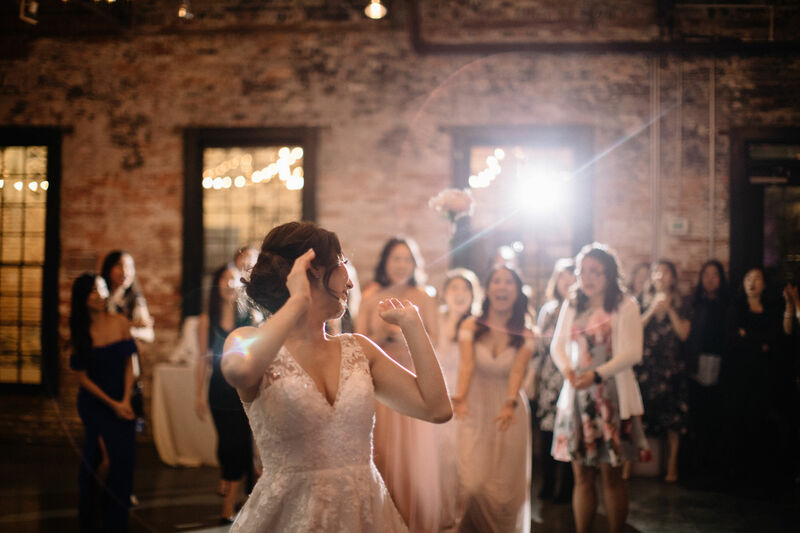 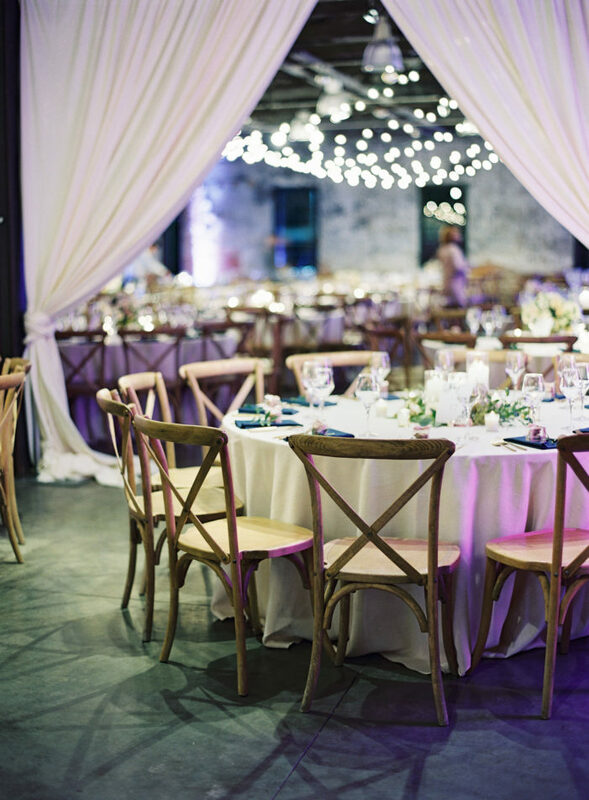 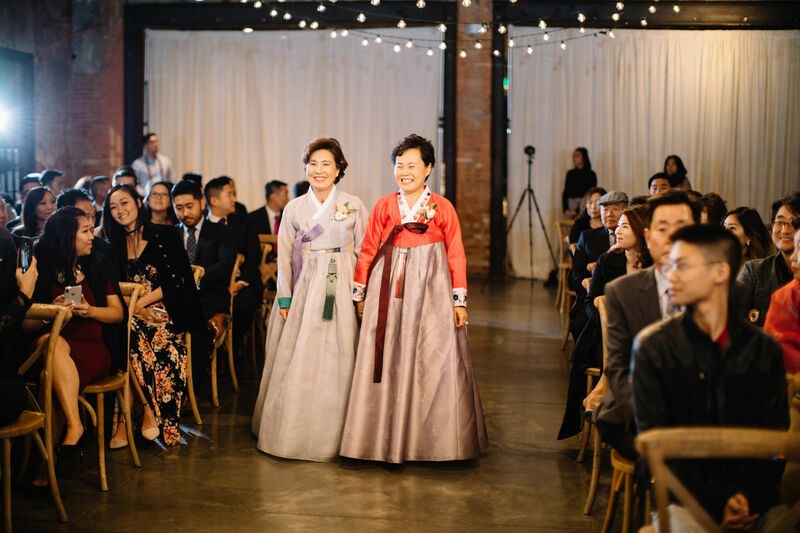 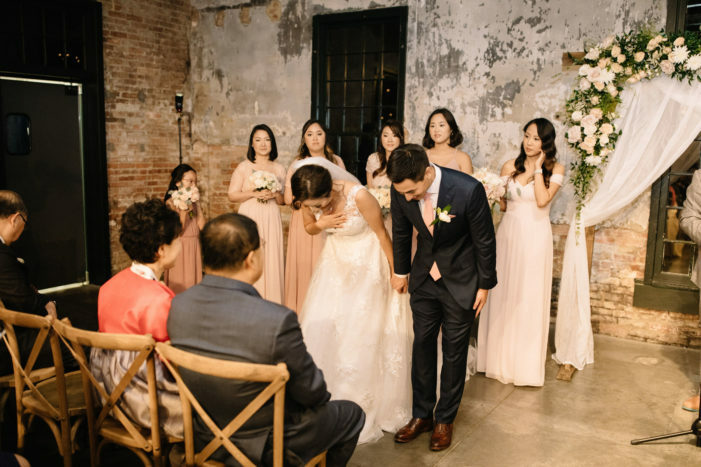 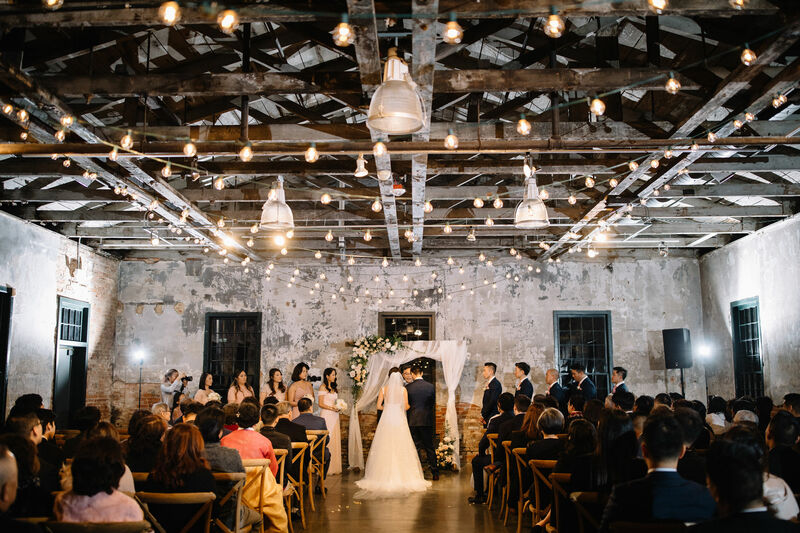 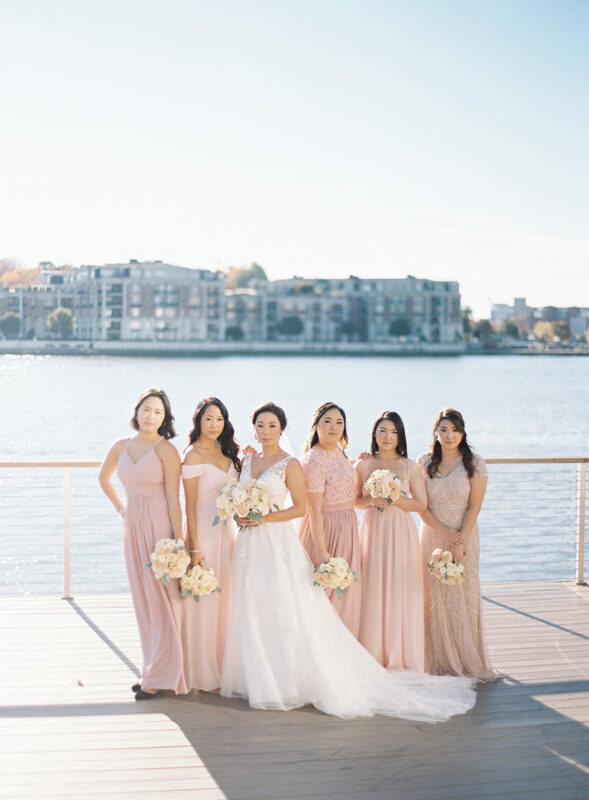 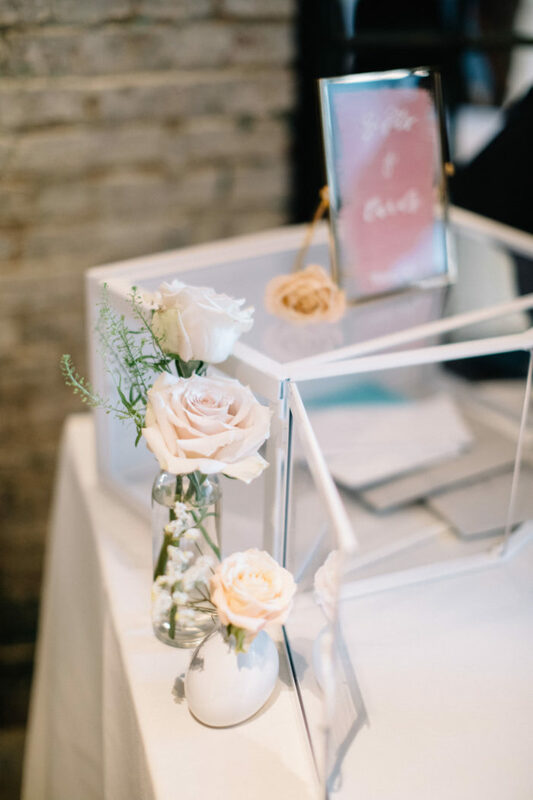 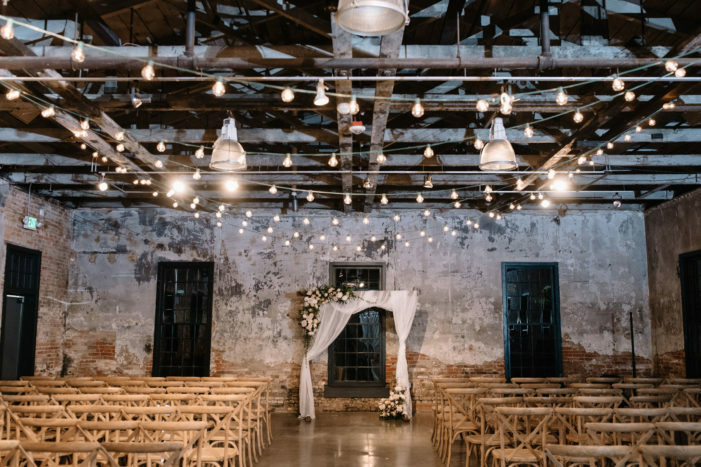 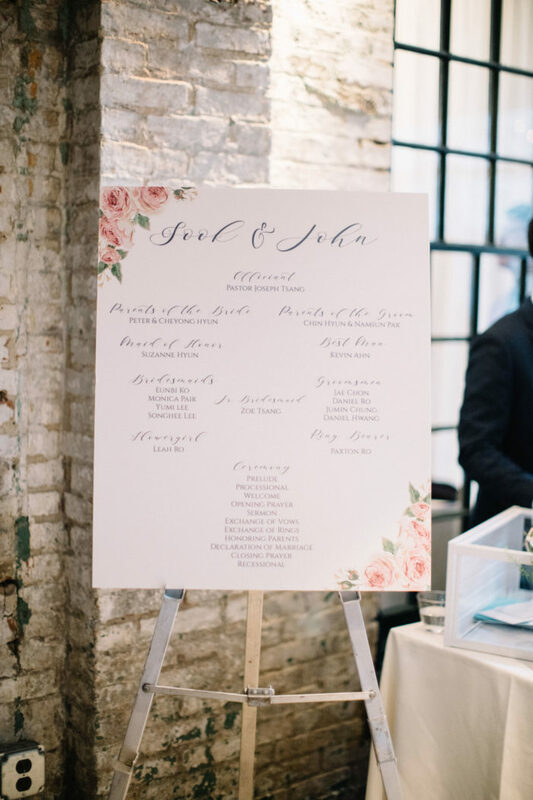 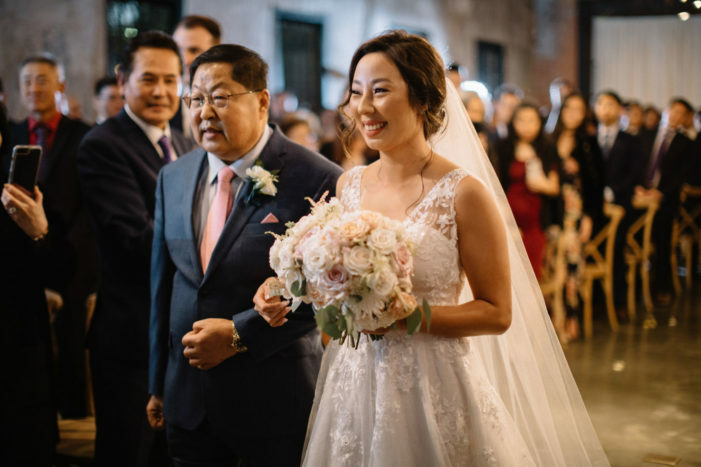 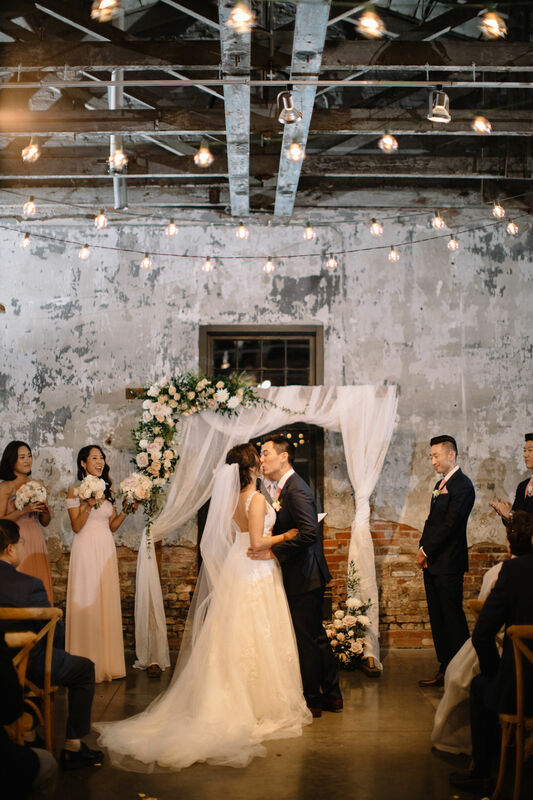 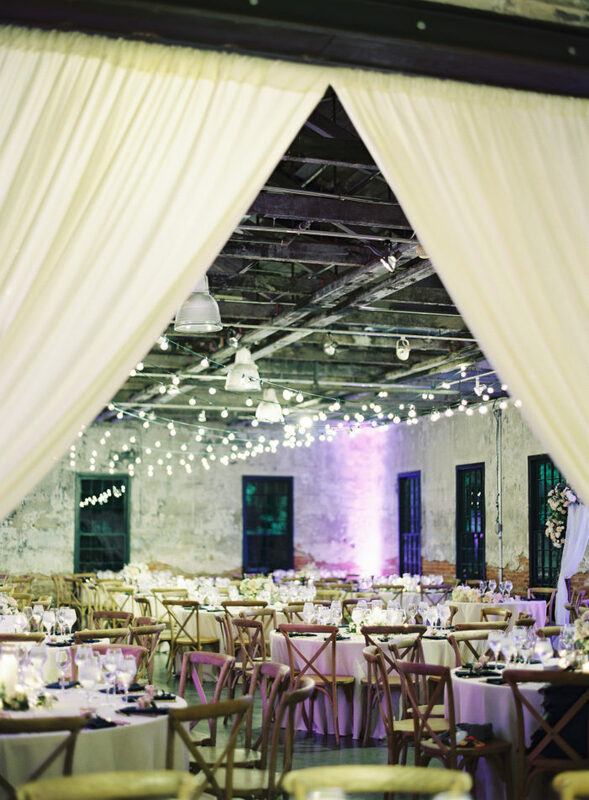 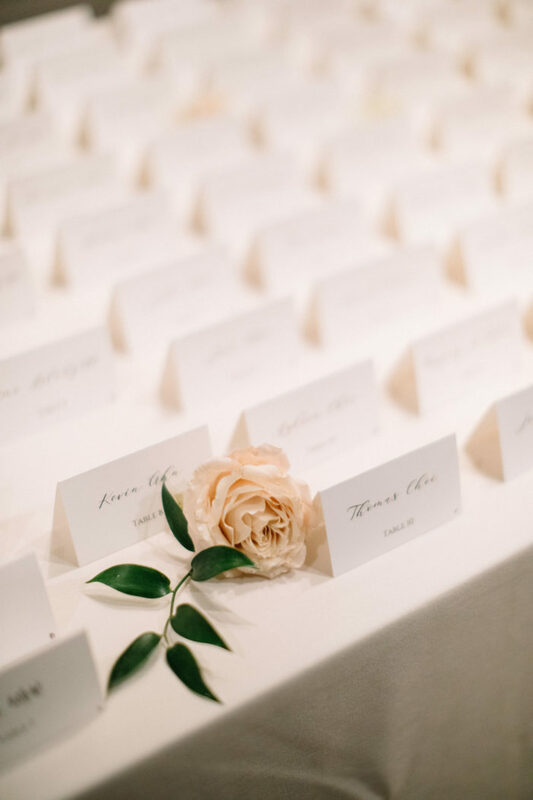 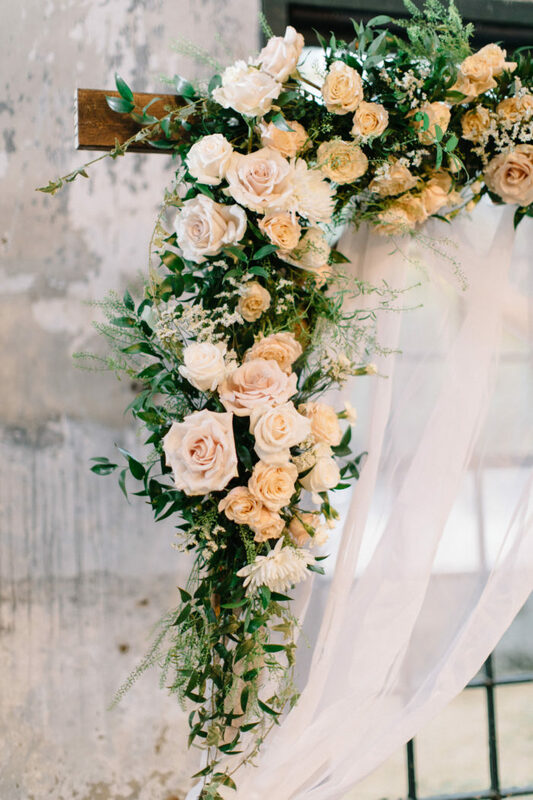 This unique venue hosts rustic industrial design and was great juxtaposed with the soft blush and creams of the bridal party and the floral decor. 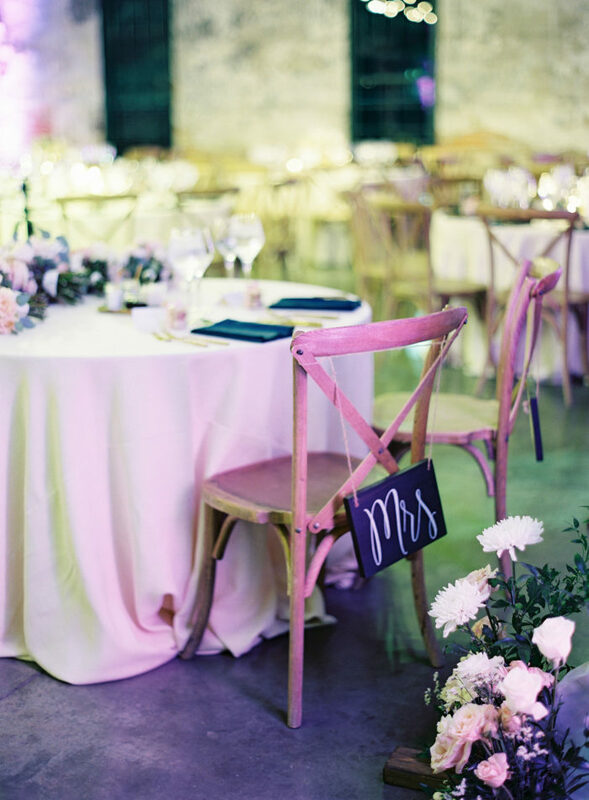 We just love the contrast created! 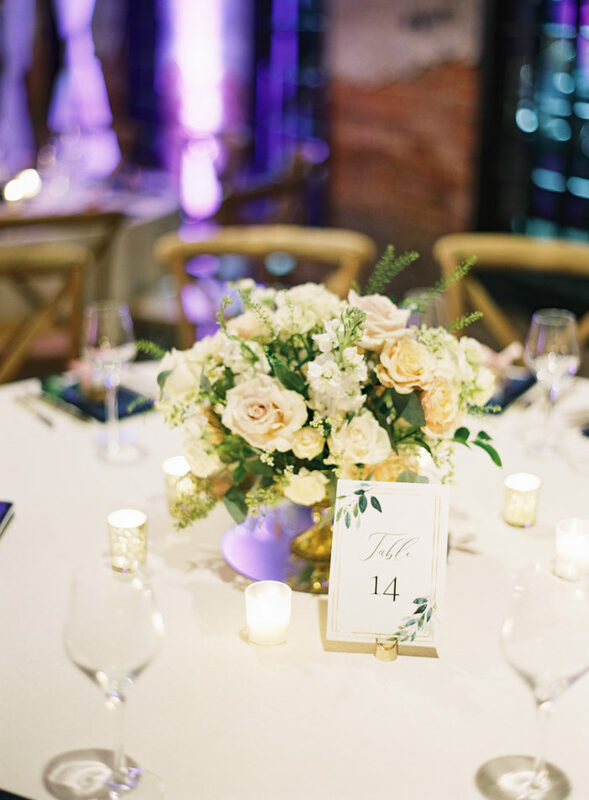 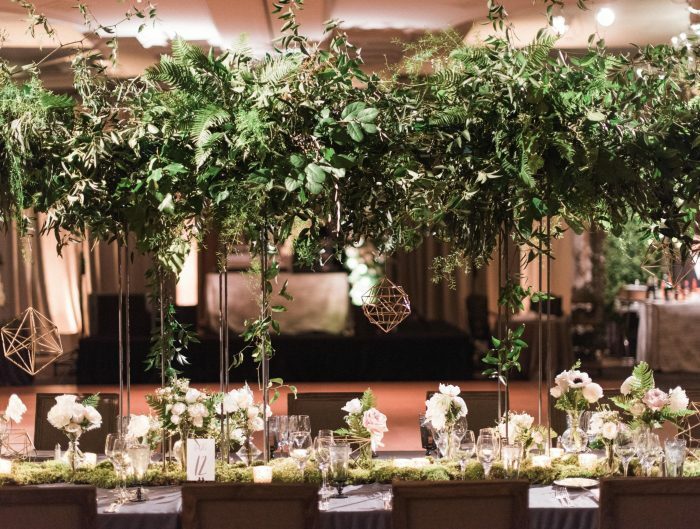 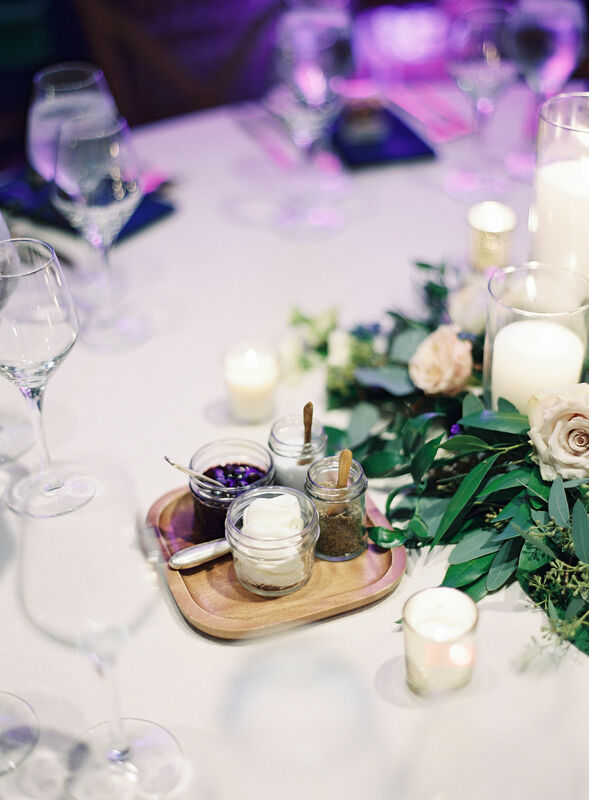 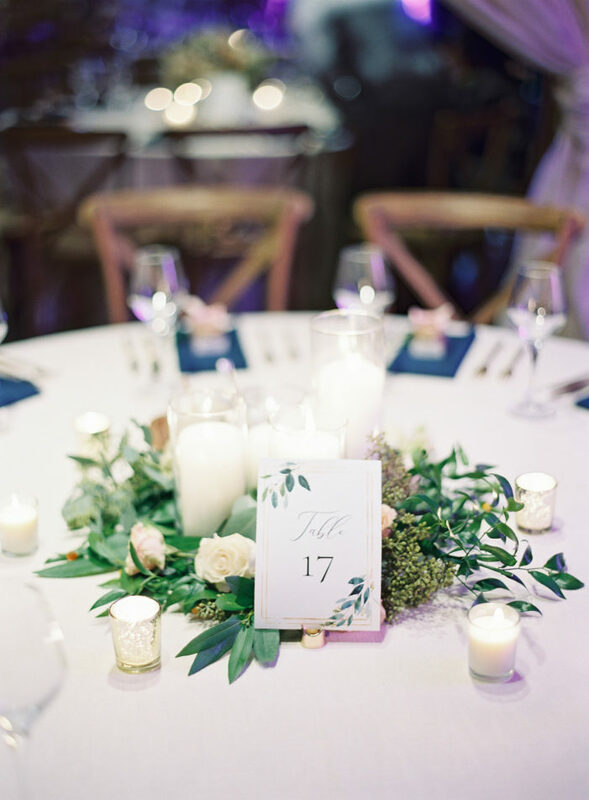 The cafe lights over the dinner tables softened the venue further creating an industrial chic atmosphere dripping in flowers and greenery. 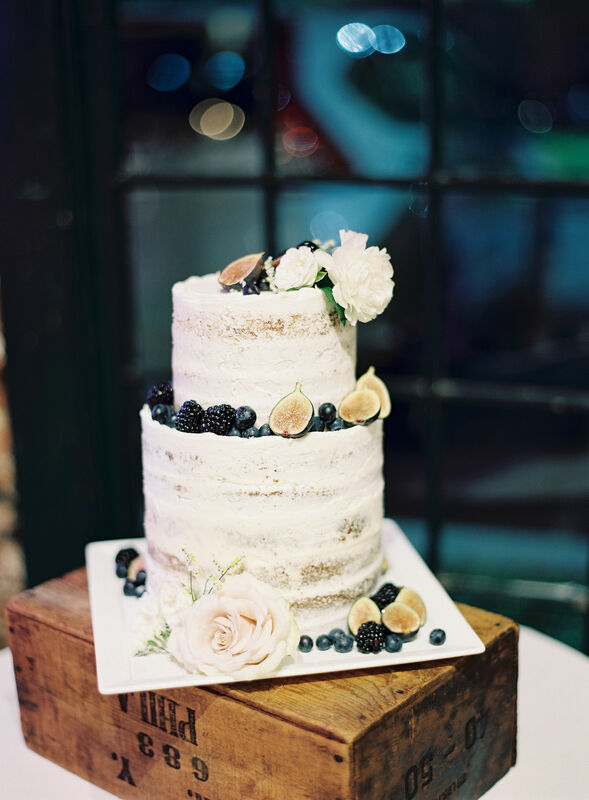 We especially loved their two tiered nearly naked cake with fresh fruit and florals dotting the tiers. 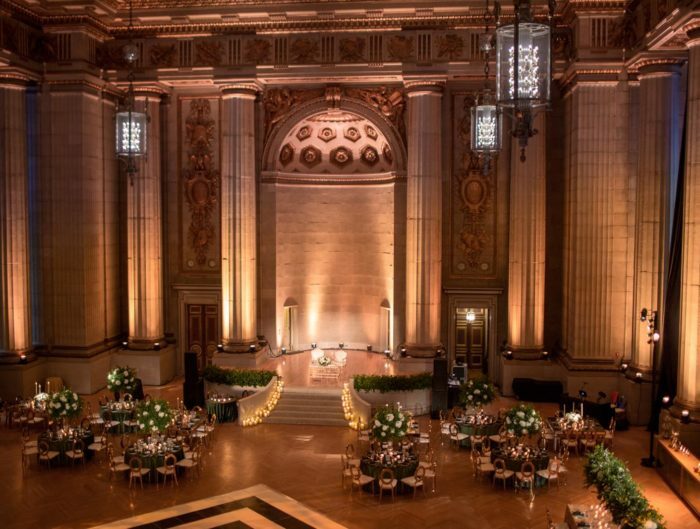 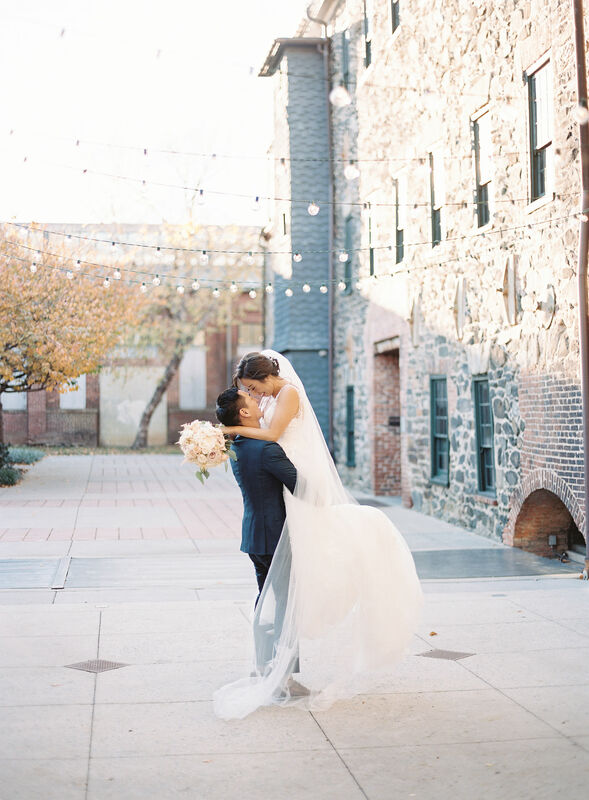 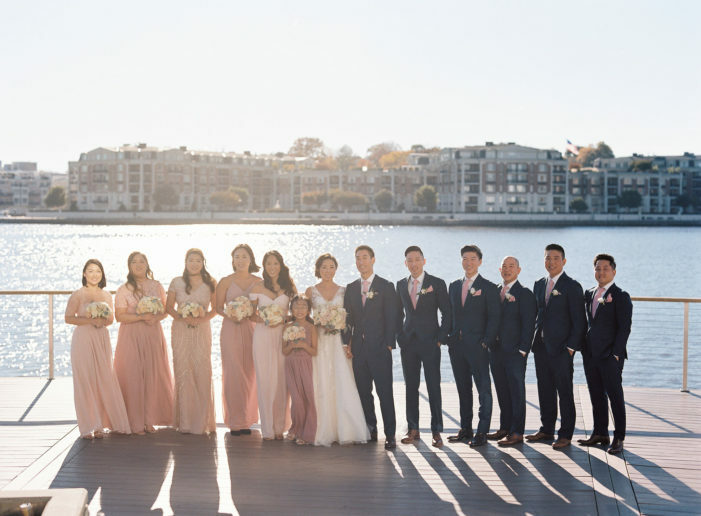 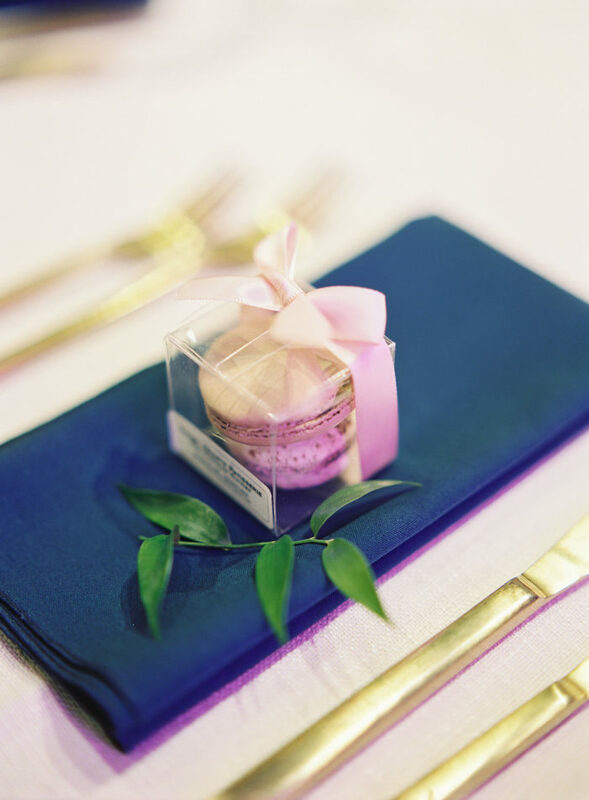 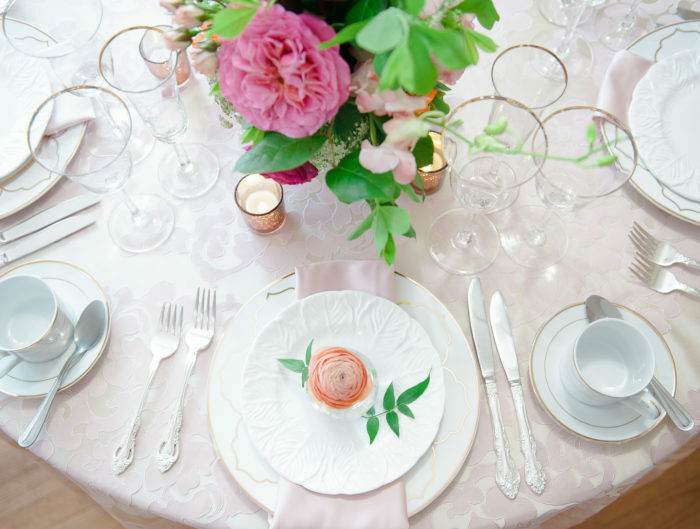 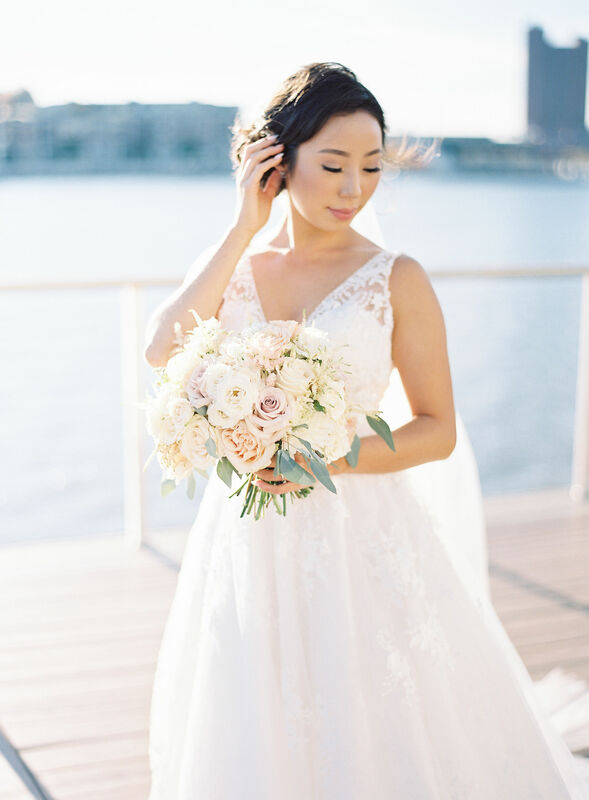 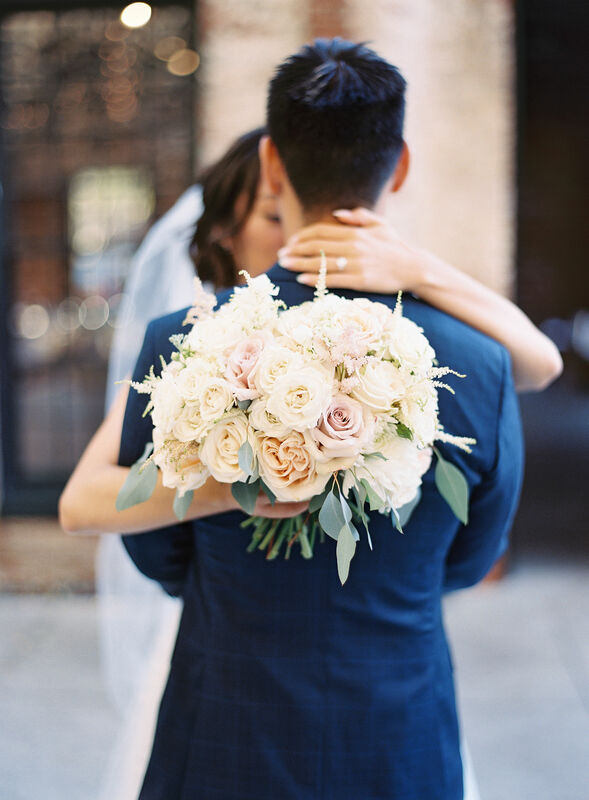 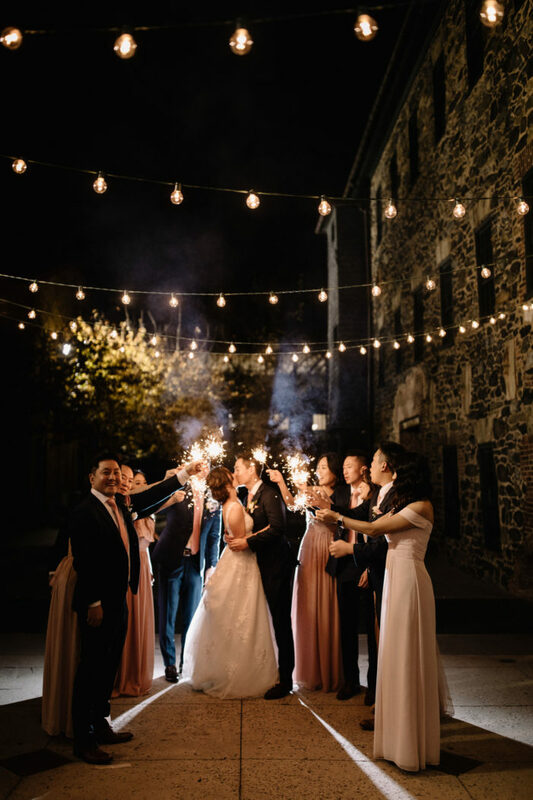 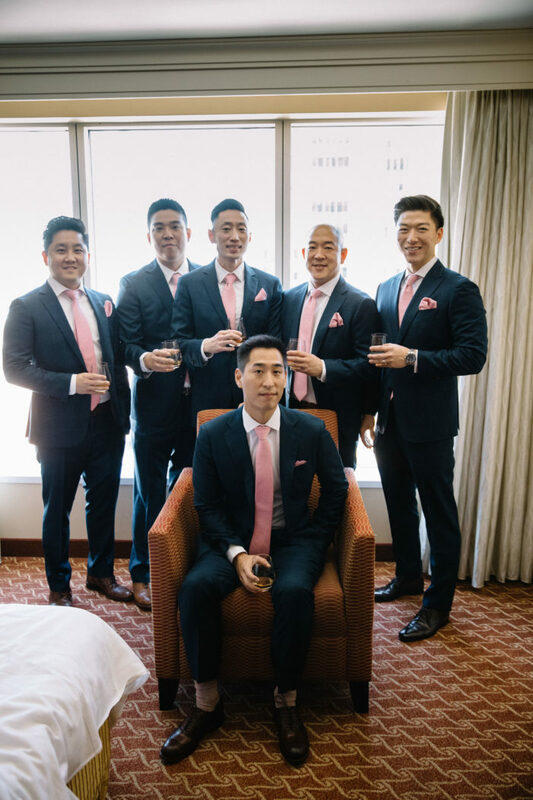 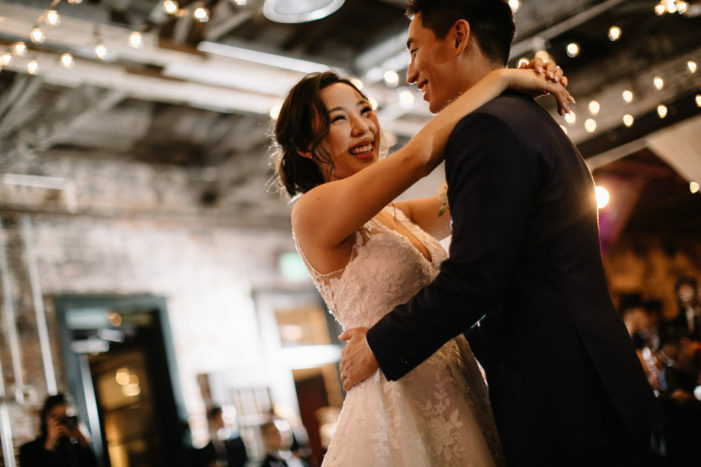 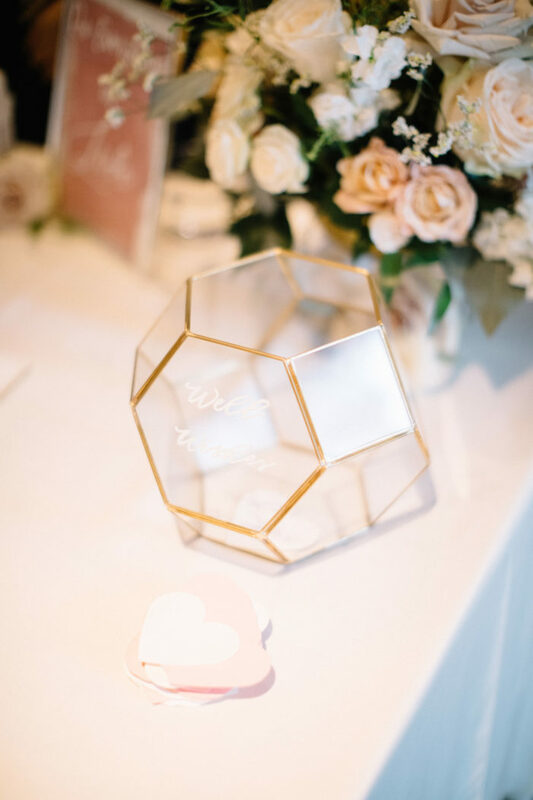 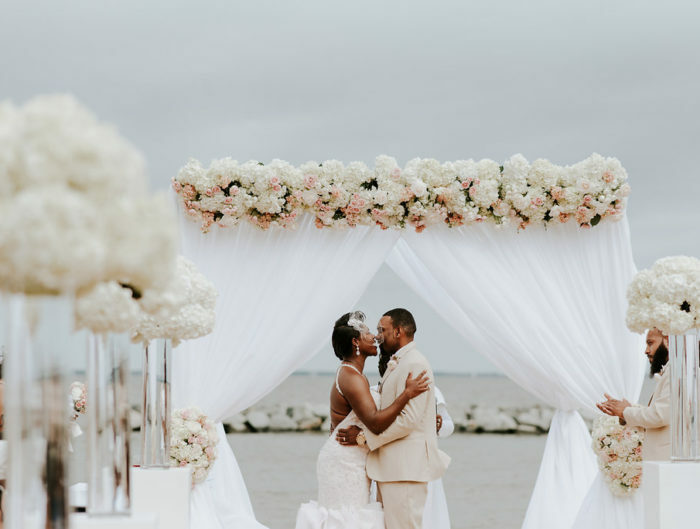 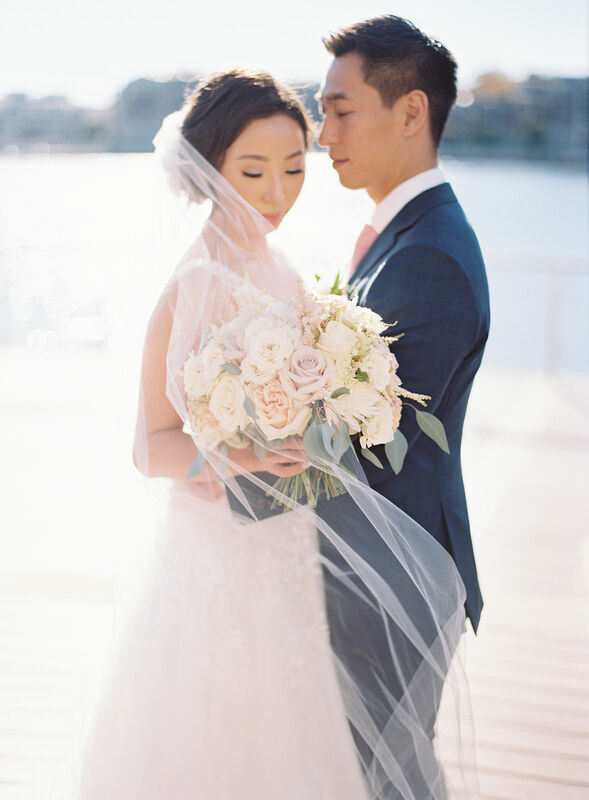 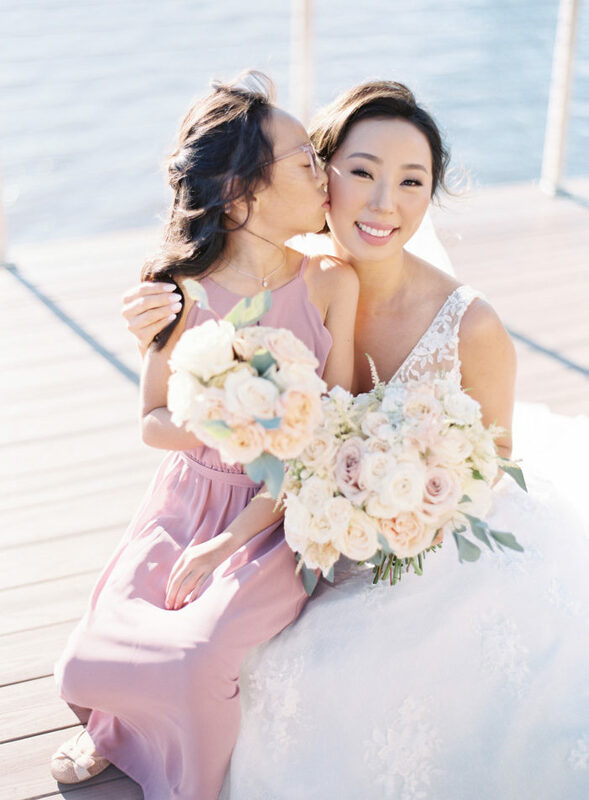 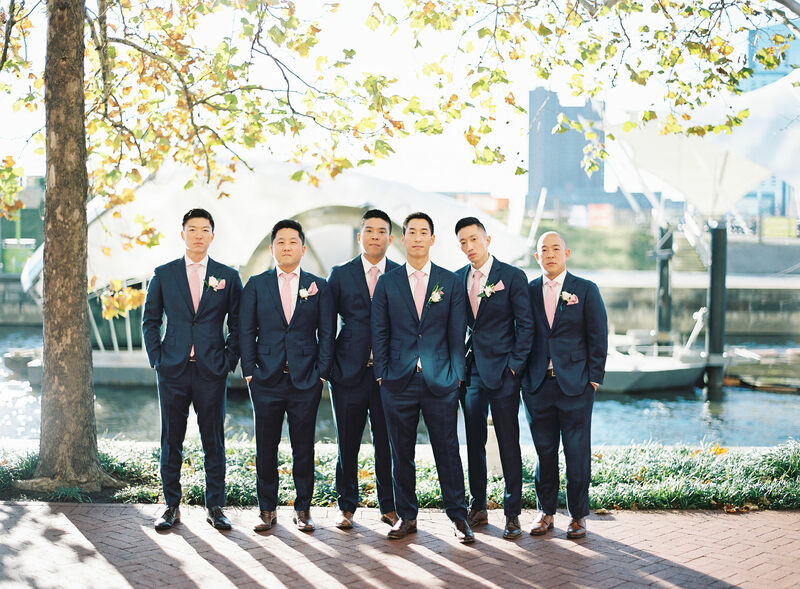 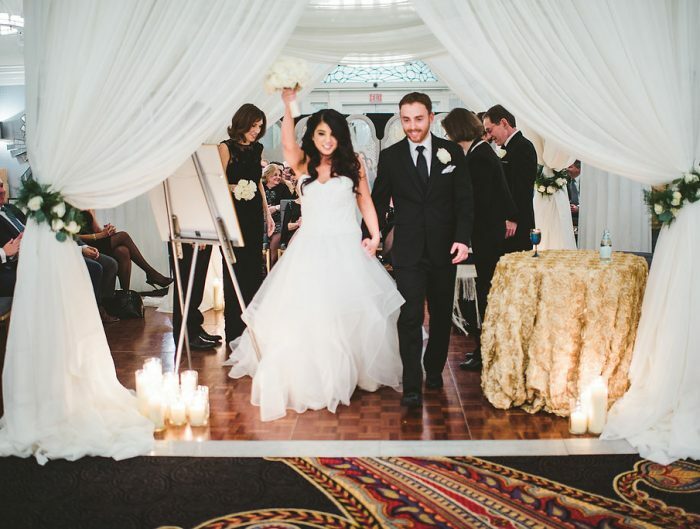 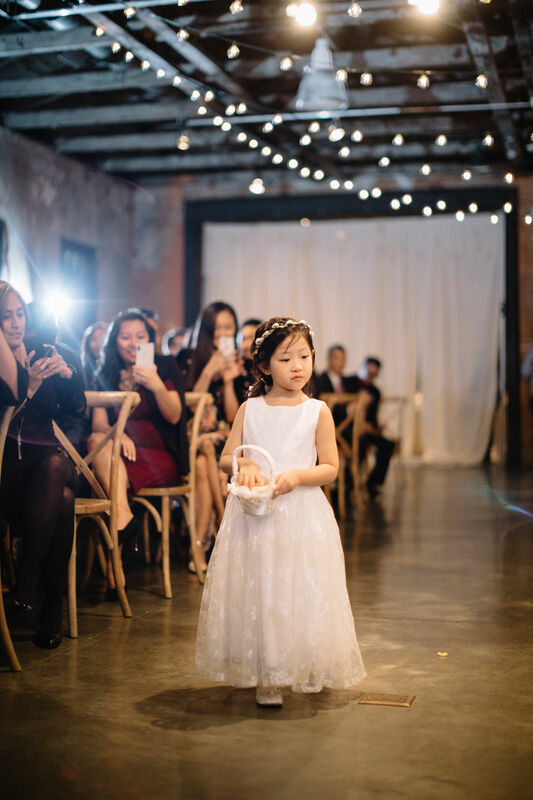 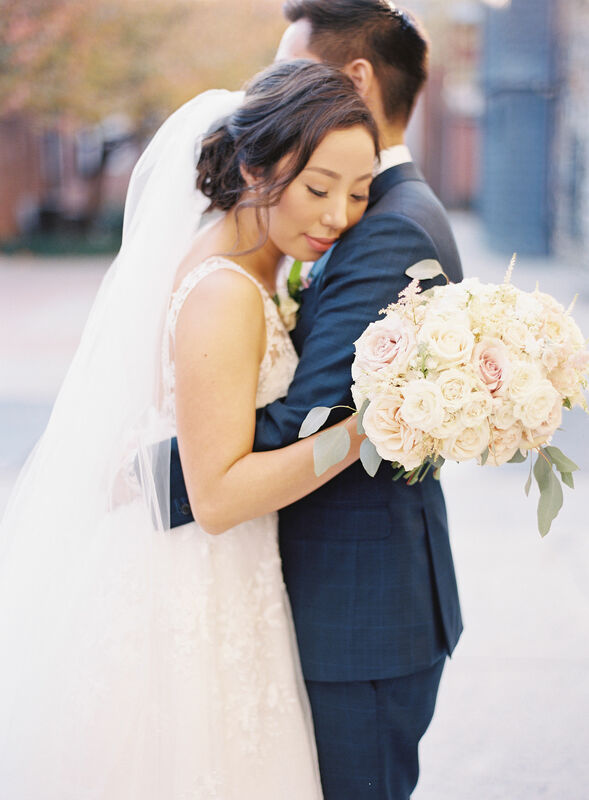 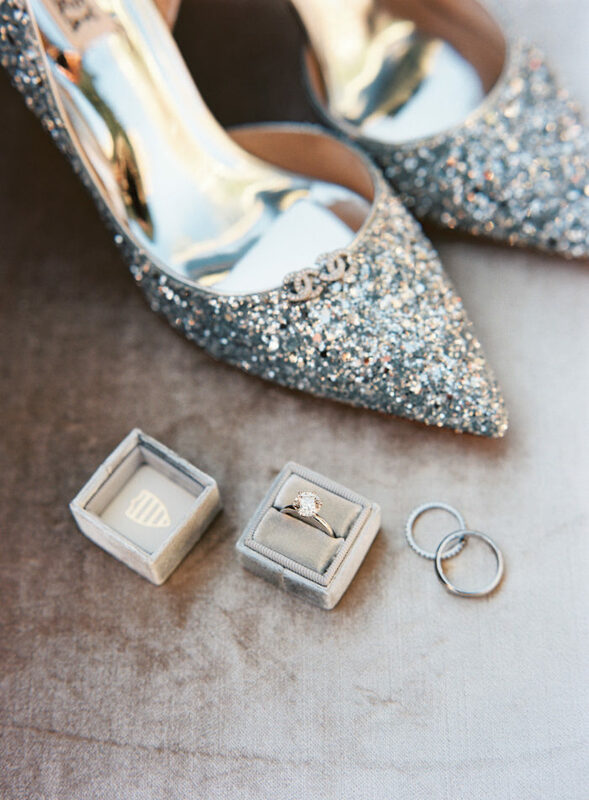 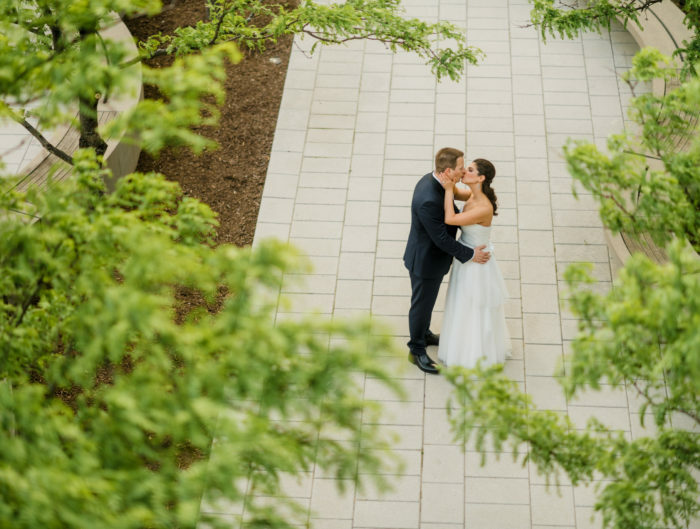 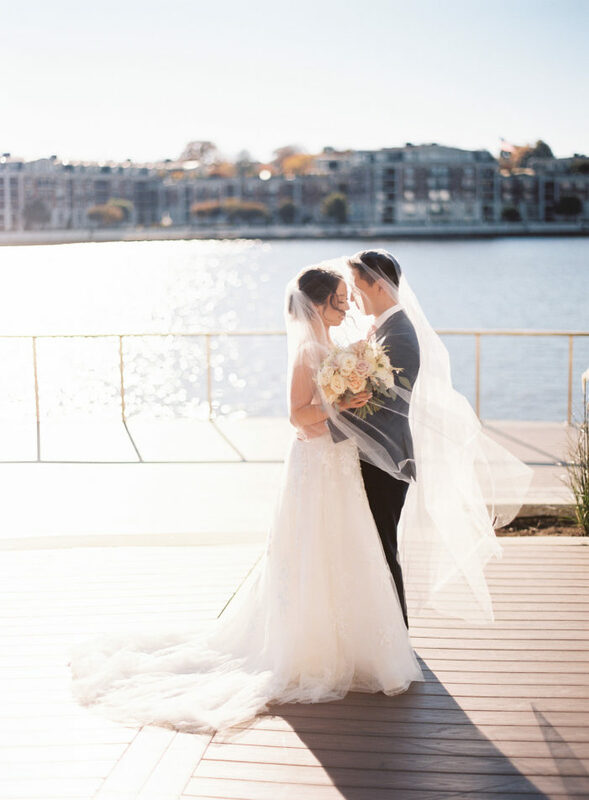 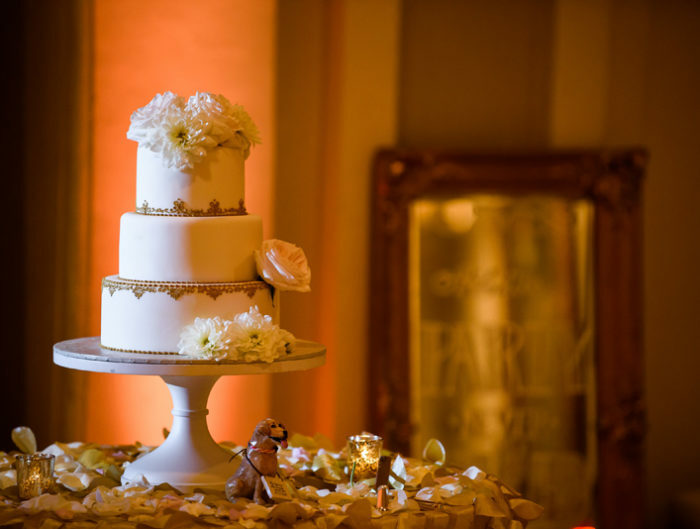 Thank you to Sincereli Photography for sharing this Baltimore wedding with us today!